Brakes are Shimano levers, calipers and hoses. I'm going to replace the Shimano calipers with Hope. Fluid type will not change - it will still be mineral oil. Can the hoses be reused or should I plan on routing new, replacement hoses? Also, Shimano hose comes in different versions, BH59 and BH90, do you know which/if it would be compatible with the Hope caliper? Hope calipers come with fittings. The bike has BH59 hoses. I'm asking if the hoses themselves can be reused, completely apart from any fitment or compatibility issues;. Do people generally reuse the hoses or are they assemble once and then replaced after disassembly or ends cut off? So long as they're mechanically sound, and still long enough after you change out the Shimano caliper-end fittings with the Hope fittings, there's absolutely no need to change the hoses themselves. If everything is compatible and in good condition I wouldn't change it. I wouldn't buy a new brake hose on a car if I was replacing a caliper unless it needed it, why would I on a bike? Because every bike component company has different incompatible specs, even down to the seating for olives and hose bores, there are standards for bike parts, just everyone has a different one. For those that don't know, Hope makes replacement calipers that are specific to either Shimano or SRAM brakes. There should not be any compatibility issues between the caliper and hose and no reason to replace the original hose. For Hope making replacement cross compatible caliper, they only do one, the RX4 (as previously mentioned), but we still don't really know what the OP is doing. got Shimano want Hope (brand) ? buy it all , no half mix & mismatch ..
Hope does not make a complete road brake set so there is no option to "buy it all." Hope does make road calipers that replace the stock Shimano/SRAM units, which is what informed folks are discussing. but we still don't really know what the OP is doing. 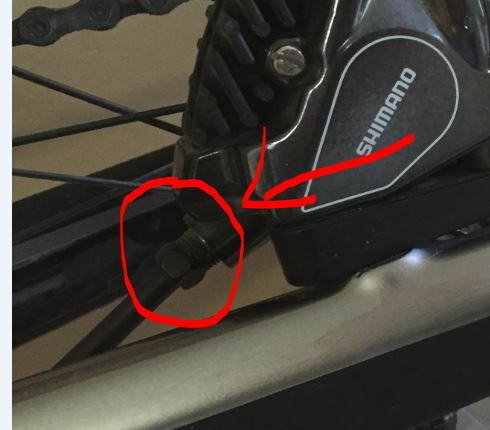 I know the OP hasn't made it clear here, but he has a thread in Cyclocross and Gravel Biking that indicates that he has purchased RX4 calipers. Will the hoses be long enough after cutting off the fittings? SO?? Leave the shimano brakes as is.. doubt you will gain a perceptible thing but create a bunch of unnecessary bother.. I have Shimano BR-RS805 calipers with Shimano ST-R785RL hydraulic Di2 levers. I'm changing the calipers to Hope RX4. Why is my own business. The Hope calipers use Shimano mineral oil fluid. Fluid compatibility is not my concern but feel free to argue about it if it makes you happy. My specific concern is disassembly and reassembly of the fittings at the caliper. I do not intend to cut off the fittings and would do so if the hoses were long enough, but they are not. I intend to remove the fittings from the hose and reuse the hose as is. It is not a banjo type fitting. It is an insert, olive and 8mm(ish) hydraulic hose fitting. Does installing the insert, olive and fitting on the end of the hose compress the hose or deform it in such a way as to render it unusable a second time? If the fittings on the hose are assembled and disassembled, can new fittings be placed on the same hose end a second time and expected to reliably hold pressure and not leak? By the way, @DrIsotope. Thank you. Last edited by TimothyH; 04-15-19 at 03:39 PM. Got to agree with fiestbob, realistically, all your going to gain is a bit of bling, if you have Shimano brakes, which the OP appears to have, as the RX4 are Post Mount, not Flat Mount, if performance is the aim, there are now plenty of Shimano 4 pot caliper options, which would be a very simple fit, as there would be no compatibility issues and greater performance than the stock 2 pot calipers. No, they are flat mount. Anyway, Hope is on your team Jim. They are manufactured within bike riding distance of West Yorkshire, in Barnoldswick. Maybe you could run up there and ask them for me. Last edited by TimothyH; 04-15-19 at 03:49 PM. Into the badlands of Lancashire, got to be brave to do that. Well, I can see why you would agree with fietsbob as it seems both of you are quite confused about what you are trying to post about. Next time, you both could save yourselves by doing a simple web search. Knowledge is a wonderful basis for a discussion. Dude, most of this was posted with very little to no useful info from the OP, my last (relevant) post was made almost at the same time as the OP came in with much more detailed info, which made alot of what everyone had said, including me pretty much irrelevant. This is pretty normal on BF, that someone posts something, either with far to little info, or cross post throughout BF, with all the relevant info, but where generally most people will only see snippets. Then at the end of it, we get people like you coming in saying that the people like myself and fietsbob are idiots (yes, you are saying that, not matter how you put it) when we and others have only given as much help a we could with the info provided. Thank you for your positive and helpful comments throughout this thread. This thread currently has 23 posts. My first post was #11 . You are mischaracterizing what happened. "fietsbob"'s contributions were not helpful. That lack of helpfullness resulted from a distinct lack of knowledge that wasn't dependent on whether the RX4 was called out in the first post, or not. This thread currently has 23 posts. And only three had anything to do with my actual question. And you prove my point, that this was a cross-posting mess. which has now devolved into a who can delete their post first, resulting in a thread which makes less and less sense and point; which the OP should take a good portion of the blame (I mentioned the RX4 in my first reply, and the OP failed confirmed this within this post at that time, which would have clarified everything subsequent), with yourself the rest (as you failed to see that I had already asked about the RX4, but with no reply in this thread). Sharing the truth is demeaning? 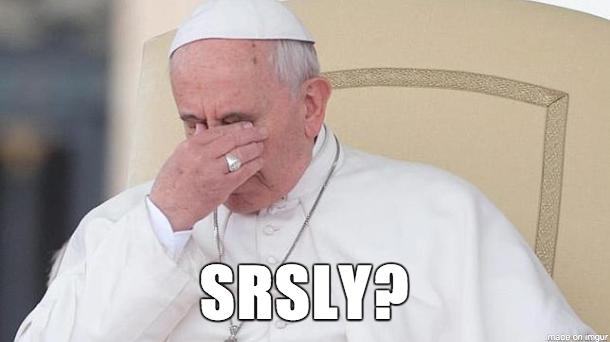 Correcting someone's erroneous posts is offensive? That's nuts. As is fietsbob being embarrassed by his posts and deleting them. I've seen these nonsense outbursts by fietsbob and see no reason why his idle speculation shouldn't be corrected with facts. p.s. I saw you mention the RX4, and I saw your subsequent erroneous claim that they were post mount. Much confusion and wringing of virtual hands about such a simple question. No. it's the way you said it, with the image, that was offensive. For my post about the PM vs FM, and being erroneous (your using big words now!) assumptions often have to be made with the infomation or lack of that is often supplied, they make both, the OP had failed to say which they were using, and when moving brake type, PM is still the most common for aftermarket calipers.